We're celebrating our 40th Annual Front Page Follies with a show like you've never seen! The show will be held this year at the Historic Bijou Theatre on Thursday June 14, 2018 at 8:00PM and will include a recap of this year's news, politics, and events...plus some of the best hits from over the past 40 years of Front Page Follie's performances! 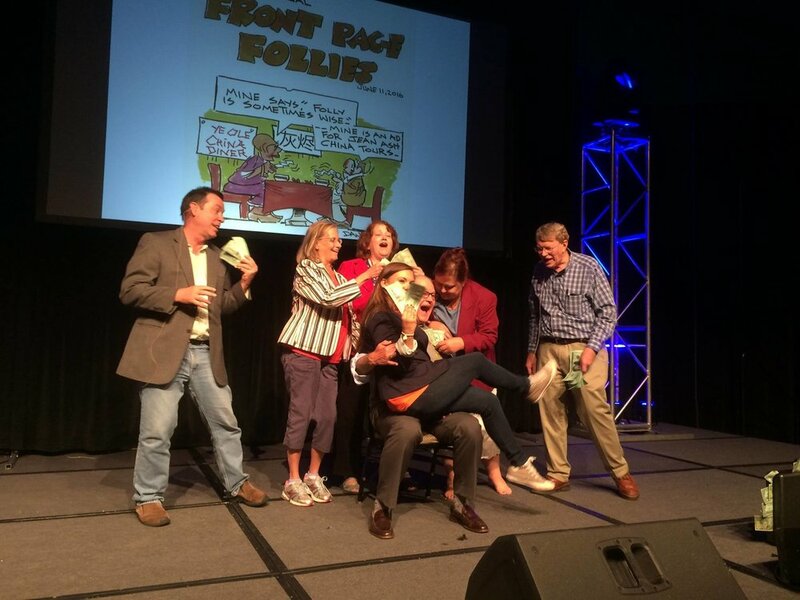 See why this hilarious show is our keynote event for the year! See who we are honoring at the 2018 Front Page Follies by clicking below! Click below to buy tickets for the event!